Like many people we talk to, the client for this build always liked the look of classic Land Cruisers and one day dreamed of having his own. When he was ready to embark on this project with us, he wanted to mix things up and create something that was truly his. The result? A classic, weekend driver with plenty of attitude to keep things interesting. This project began as one of our Classic builds and gradually morphed into something more custom. We added 33” BF Goodrich All-Terrain tires and the Old Man Emu suspension to give it a more rugged look. This FJ40 is also equipped with a custom soft top and a custom bikini top - because you never know what the weekend will bring. 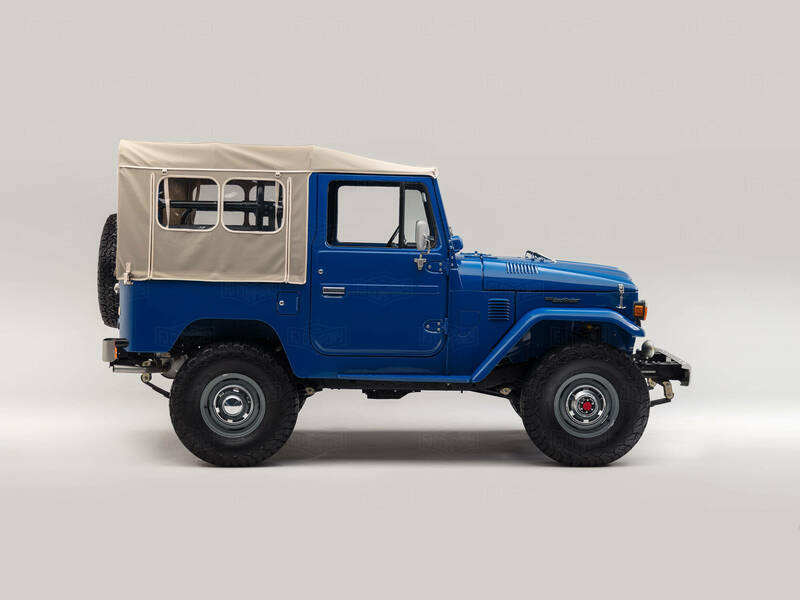 Look under the hood of this FJ40, and you’ll find the original Toyota 2F engine rebuilt with a new carburetor, 4-speed manual transmission, and 135-horses - the perfect powertrain for a weekend driver. The cabin of this FJ40 was designed to take you back in time. Here, we kept things classic with a traditional 60/40 split bench in the front and traditional folding seats in the back. A Vintage Air A/C keeps things cool, while the premium audio system with integrated Bluetooth and JL Audio component speakers flush mounted into the door panels provide the perfect soundtrack to any drive. When this build was finished, the new owner decided to put it through a test of his own. He flew down to Miami, picked up his FJ40, and embarked on a cross-country trip back to his home in St. Charles, Illinois. His only cargo: a backpack and tent. In the end, he traveled around 1,500 miles, taking the scenic route through Florida, Georgia, Tennessee, Kentucky and Illinois. He arrived home safe and sound, with some great pictures and a story to tell.